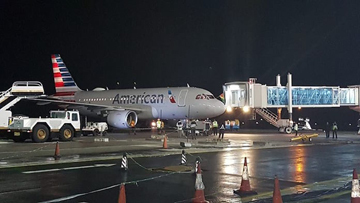 Emerging details of the exorbitant ticket prices charged by American Airlines have raised questions about Guyana’s capacity to verify expenses of ExxonMobil on oil exploration and production activities in its offshore concessions. Under the arrangement with ExxonMobil on revenues, Guyana is to receive two percent of every barrel of oil sold as well as a 50/50 share in profits. For the latter, Guyana only receives its share of the profits after ExxonMobil and its partners recover their investments and take out expenses. Part of the expenses is the cost of airline tickets for staffers who would be flying home every few weeks. However, in recent days, there have been complaints about the high cost of tickets, which in some cases were more than six times the competition’s. American Airlines, one of the biggest airlines in the world, started flying late November, signaling its intentions then to target the growing oil and gas sector. It appeared to have snagged ExxonMobil, another US company, which is also headquartered in Texas. It is reportedly the official carrier for ExxonMobil’s employees in Guyana. Full oil production is likely this year. With regards to the ticket prices, booking a seat to Miami painted an alarming picture over the weekend. On the respective websites, a one-month round-trip to Miami economy using Caribbean Airlines was US$656.69. For American Airlines, it was a whopping US$3,179. When it came to the business class seats, it is where things got more serious…and worrying. Caribbean Airlines was US$807.19 while American Airlines was seven times more – at US$6,059 for the round trip. Guyana has been criticized for what appears to be sloth in ascertaining the expenses as submitted to the Government for verification. It is still developing capacity and to make a decision to hire expert oil auditors. ExxonMobil has submitted pre-2015 expenses of US$900M. With the total investments at the offshore Liza 1 development field said to cost in excess of US$3B, the questions have been more. Any misstep could cost Guyana millions of US dollars in profits. Yesterday, veteran trade unionist and columnist, Lincoln Lewis, was highly critical about the cost of the tickets and the implications for Guyana. According to Lewis, Exxon appears to be exercising preferential treatment to a US company at the expense of the Guyanese taxpayers for services that can be obtained at cheaper value by other competitive airlines. The official insists that for Exxon to do otherwise is considered participating in exploitative practices. 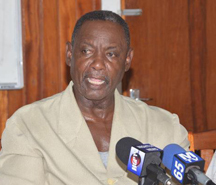 The trade unionist said that the developments should be a lesson for Guyana. He said that Government, more so, has to realise that acts like these raise questions in quarters about judgment and capacity.